Search engine services have become increasingly complicated, and remain ever-changing, and we will work with you on an ongoing basis to ensure we are getting the best possible results. By building these processes in to your website it will already have an important advantage in the market, and we will take care to constantly be in a position to improve the site and ensure it is working to the greatest possible extent. Our range of Search Engine Services is cost effective & pragmatic,ranging from entry level ’local’ to comprehensive pay per click packages on the worlds largest search engines. Local Search Engine Services – We optimise the site with appropriate code, containing keywords, tags etc and then submit to the main local search engines- Ananzi, Google.co.za, Aardvark, Funnel & Jonga. Each month we compile a report showing your keyword rankings which we send to you, together with any suggestions to improve the campaign,as well as carry out any keyword updates that may be required. Costs : For Inloco Clients – R 105/month, no set up. For non Inloco hosted clients – R 150/month, plus R 300 set up. Blast to International Search Engines – We do a generic international submission that will send the site to the main international search engines – Google, Yahoo, MSN, Altavista, Lycos, Infoseek, Ask Jeeves, All the Web, AOL, DMOZ, Excite, HotBot, Iwon, Netscape, Overture, & Teoma. 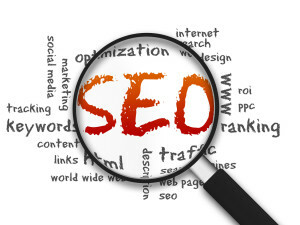 More in depth keyword research is conducted, and further work on the code is also carried out. Monthly reports and recommendations are sent to you, and required updates carried out. The package also includes comprehensive weekly website monitoring to ensure best possible website performance. Please be advised though that there are no guarantees with this type of submission, and never can be – results depend on factors like content, site structure, link popularity, business activity, and other criteria of the search engines, which can & do change. In this respect a 300 word paragraph containing your chosen keywords/keyphrases at least twice will be advantageous. Pay per click (PPC) allows you to purchase ads that show up at the top, side, or below the search results for the specific keyword phrases you bid on. 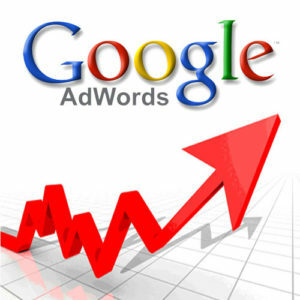 As a visitor clicks through to your site your account is debited with an amount that is based on supply and demand – ie, the more it is wanted, the more expensive it becomes.We offer Google Adwords PPC which is fast, manageable and we have had great results with it. Fast – you see your ads within hours of them being created. Flexibility – there are no contractual obligations: the campaign can be turned on, paused and/or terminated at any time. Customisable – you can choose to target users by country or language. We monitor the campaign weekly and send you performance reports monthly.